Location – This is very close to where bullaun H sits on its side. 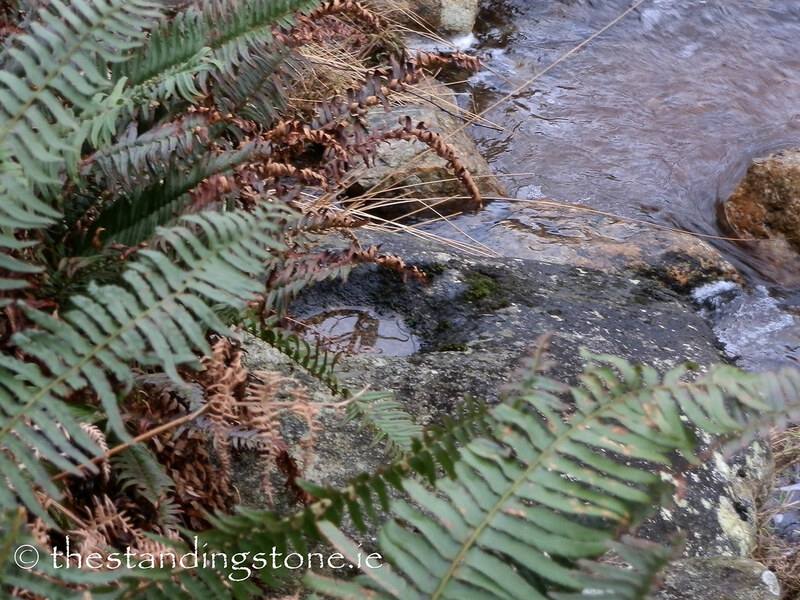 Description and History – My pictures are very poor for this little bullaun which is ticked into the river bed. On the day we were there the weather was too poor to climb into the river. But you can just make out the depression of the bullaun in the rock. There are a few more in the river that I didn’t spot, that I would like to return to find.